Seventeen year-old genius Zakari Sharp has never stood on the surface of a planet, never seen a sun-streaked sky. He lives on a corporate-owned mining facility at the edge of the solar system, with a mute alien for a guardian and brainwashed, muscle-bound ex-convicts for company. The day his father vanished was so long ago that Zak thought he would never hear from him again. Now, chased off-station by a cabal of mythical assassins, Zak and his best friend Liz embark on a harrowing journey across the galaxy, to find his father’s hiding place and learn the universe-shaking discovery that hides with him. But their enemies will stop at nothing to steal the secret themselves. Can a teenage boy change the fate of the universe? Or will a nanotech-wielding killer reach him first? In the second book in the Kindle bestselling Drawing Thin series, the world moves ever closer to Armageddon, as old friends and new foes turn against Trent, while his new charge, Celia, spirals dangerously out of control. Six months after the terrifying blizzard that ravaged Las Vegas, Trent Hawkins finds himself deeper in despair than ever before, with his wife banished to the enigmatic Realms of Shadow, his new 'daughter' a constant test of his will, and his months of working for a demonic cabal grinding down his resolve. To make matters worse, his obsessive search for a way to return his wife to the land of the living takes a dark turn when he falls afoul of the mysterious Mr. Gadreel and the fire-wielding assassin in his employ. The truth of Trent's own past and the supernatural underbelly of modern-day Vegas grow even stranger than before as Trent faces his foes, new and old, and the fate of all mankind may rest on his choices. Meanwhile, in the Realms of Shadow, a surprising journey is undertaken--a journey that might be the key to saving Trent, Celia, and the world. Or, it could be the catalyst that ends everything. 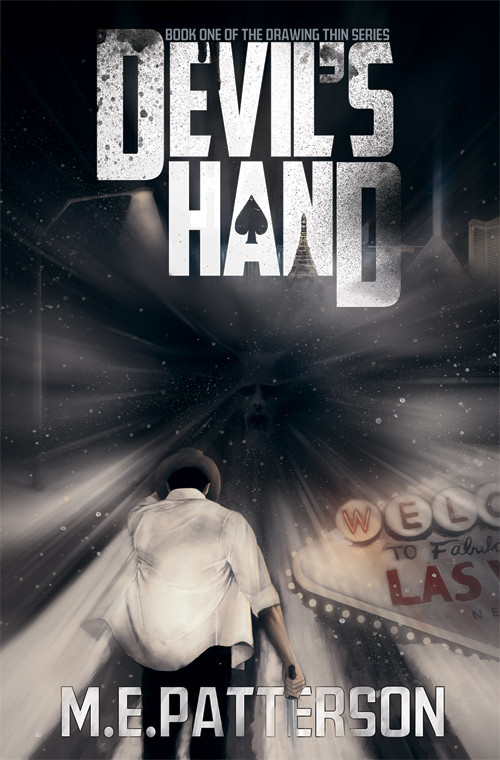 The lone survivor of a tragic plane crash, Trent Hawkins inherited a mysterious lucky streak that made him famous, and hated, in the poker circles of the City of Sin. It wasn't long before the eyes in the sky threw him on the blacklist and chased him out of town. Now, after years away, Trent returns to Las Vegas, and walks right back into trouble. As a serial kidnapper terrorizes the city, Trent and his wife, Susan, rescue a strange, thirteen year-old girl, only to find themselves caught in a fallen angel's plot to cleanse Las Vegas with an unholy blizzard. The neon begins to dim, the city freezes, and Trent is forced to make terrible sacrifices in order to protect his new charge, and learns dark truths about himself and the creatures plotting against mankind. Poker-playing demons, fallen angels, and otherworldly shades all vie to enlist his strange luck, and Trent must choose his role in the coming War, or watch our world fall to ruin beneath a blanket of shadow and ice.